As mentioned, some friends and I went on a cruise for spring break last week. 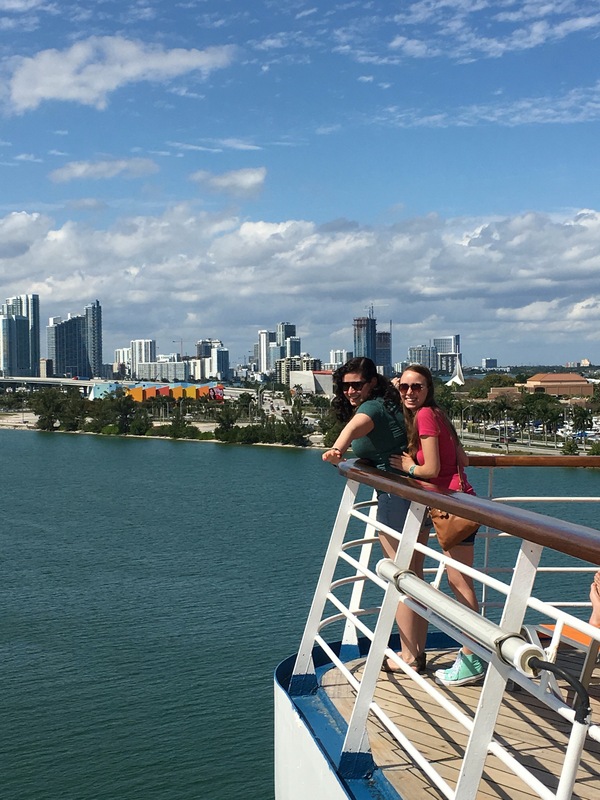 I’ve never done a real spring break trip before, but with it being senior year and all (and thus the End of Spring Break as We Know It), we splurged and found ourselves in the eastern Caribbean for a week (specifically: Turks and Caicos and the Bahamas). We visited Grand Turk, Half Moon Cay, and Nassau. During the week, we went snorkeling along a coral reef, played with stingrays, went horseback riding on the beach and in the water, and swam with dolphins–along with eating a (probably literal) ton of food and swimming SO MUCH and spending an absolutely beautiful amount of time just laying out on beaches/the deck of the cruise ship.